In investing it always pays to plan ahead on how you will react in a given scenario. Being removed from situation helps you plan your actions rationally. So the best time to consider how to handle a falling market is while stocks are hitting record highs. For the US markets, this is true right now. Now this isn’t a prediction that the US markets will collapse: although valuations are getting stretched there seems little reason for a collapse. The economy in the US is humming and even Europe is showing less signs of stress than the last decade. So we are talking about an unexpected scenario of a short or long term market fall. Short-term or long term protection? The first thing to consider is whether you are worried about a sudden temporary fall, like during Brexit style event or whether you are planning for a longer downturn like 2000-2002 or the slump of 2008-09 that wiped 40-70% off markets globally over a 9 month period. What can you do for either scenario? 1. Wait it out. Most market falls are only a short time or less than 2 years. Only on rare occasions like the 1970’s or the 1930’s have slumps lasted several years. This strategy might be fine for a short fall, but what if you suspect something longer term? 2. Have a discount stock account. Most fund platforms only have a range of long equity or bond funds. At best, you’ll be able to move to cash, which might protect you from downside but provide no upside. 3. Go to US dollar cash. In turbulent or falling markets investors flock to the US dollar or US treasuries to wait out the storm. This was true in 2008 and will be true until the US government’s debt gets completely out of control, which will likely take at least another decade, President Trump notwithstanding. 4. Short sell individual stocks or ETF. This means borrowing an individual stock to sell immediately and then buy back later. This tactic works best for more sophisticated investors who wish to take more risk. 5. Buy an inverse ETF. This does the work of shorting for you plus you have the diversification of an index so you avoid the problem of a positive surprise in your choice of stock. You simply buy the ETF such as Proshares Short S&P 500 (SH) so you can simply hold the fund rather than paying fees to find stock borrow to short. 6. Buy Put Options. The favored tool of most investigative short sellers, a put option is the right but not the obligation to sell something at a price. As a derivative it provides a potentially big bang for your buck. Say you have shares trading at $105 per share and worry they may fall, so you buy an option to sell your holdings (and more) to sell at say $100 per share. If the price has dropped to $80 USD per share you have made $20 per share or protected yourself from a severe fall. Options however have an expiry date and have a cost to purchase. So they work best if you are worried about protecting yourself in a sharp short down-turn, in a Brexit style event. Remember: The market will be against you most of the time. The most important thing to remember is that the stock market tends to rise in the long term. 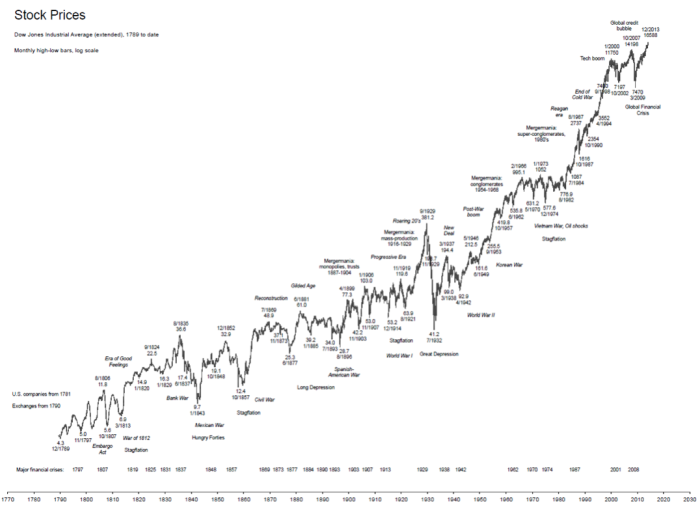 Have a look at the history dating back to the beginning of the US market. Yes, there were times short sellers would have done well. But remember that short-biased funds managed only $5.5 billion in assets, a tiny fraction of the roughly $3 trillion the hedge fund industry. Even professionals find it tough to make money when the main trends are against you. How is that for a counter-factual proof of why investing in stocks is a good investment decision? Since graduation Mr Owen Caterer has worked with the Queensland Premier's Department in Trade Facilitation and then as a financial adviser in Shanghai from 2005 until 2010. He then rose to Senior Adviser, then Business Development manager and then to Chief Investment Officer responsible for portfolios to a value of US$280 million across Asia. Following that Mr Caterer left to found his own firm with a partner in the financial advisory and wealth management area. This focused on developing China and Asia's first fee-based financial advisory (rather than commission-based). This has grown to now have 8 staff and and managing almost US$35 million for clients throughout Asia. This business success was recognized as a finalist in the 2013 ACBA in the Start Up Enterprises category and are one of a small number of foreign managed firms to have a full asset management license in China. Owen has also been active in the community volunteering for the Australian Chamber of Commerce in Shanghai and acting as the Vice-Chair of the Small Business Working Group (2012-2014) and as the Co-Deputy Chair of the Financial Services since 2013 until the present. They have continued to grow their business and have now been selected as a small group of companies who are platinum members of the Australian chamber of commerce. The achievement they are most proud of is their efforts to reform the financial planning industry in China and push it away from a hard-sales commission driven model to a more ethical management fee and long term customer service model. Owen has a Graduate Diploma of Applied Finance from the Securities Institute of Australia of which he was a member as a Fellow of Finance for many years and also has an undergraduate degree from Griffith University in International Business. Owen's interests are tennis, running and his wife and two children. He speaks fluent Chinese, first arriving in China in 1997.